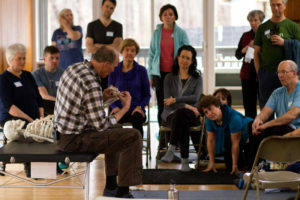 The mission of the Feldenkrais Training Academy (FTA) is to graduate a class of confident and competent beginning practitioners that are ready to successfully practice the Feldenkrais Method® . As a student of FTA, you will learn to help people become self-reliant in a changing world. You will learn to help people recover their physical integrity, to restore their emotional dignity, and to thrive in the complexity of daily life. You’ll learn the skills required to be a teacher highly-skilled in offering Awareness through Movement® classes and workshops and private Functional Integration® lessons. You’ll learn how to attract and enroll clients so that you can build a sustainable practice and feel good about yourself as a self-employed person. You’ll learn how to take advantage of opportunities to grow that will present themselves throughout your training and as you build your practice, and for the rest of your life. Acquire and fine-tune more accurate, adaptable, and resilient behavior. Then, with these discoveries, you will learn to help others do the same. Self-organization will be a key focus throughout this training. As you improve your self-organization, you allow for clearer communication and more sensitivity between you and your client. In the Feldenkrais Method, how you do something is as important as what you do. Self-organization speaks to the “how.” It is the basis for what you are doing with your clients. As you learn to organize support more clearly through your skeleton, you increase your ability to sense and feel and you provide a clearer learning environment for your clients. Good self-organization allows the practitioner to be in an attentive state from which Functional Integration lessons arise. Profound quietness and internal strength provide the basis for a practitioner to work effectively. It leads to a high quality of professional discourse between the client and practitioner. Better self-organization is also at the heart of what you will teach your students. With it, they will be able to move more comfortably and efficiently. By finding their internal strength, they can master the challenges of an uncertain world. Biomechanical principles are the foundation to the Feldenkrais Method. They are our standard for flexible behavior and good posture. You’ll be studying those principles from start to finish of the training. Your embodiment of them will deepen with your study of Awareness Through Movement and Functional Integration. Playing with martial arts principles. The Feldenkrais Method is not limited to addressing or improving a single aspect of human function and behavior—its study requires understanding from many disciplines including: physics; anatomy; physiology; evolution; psychology; infant development; martial arts; systems theory; and learning theory. 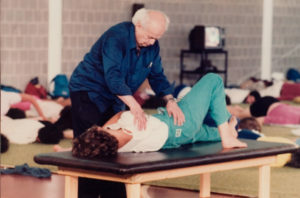 Dr. Moshe Feldenkrais was well-versed in these topics and used them to guide the creation of the work. 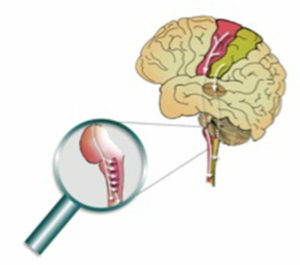 Clarifying how the brain works. © Roger Russell. Understanding the brain science that supports the Feldenkrais Method is both exhilarating and important. 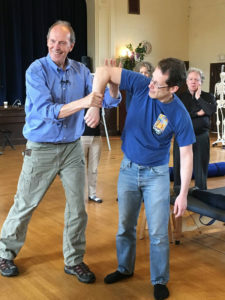 Roger Russell, a Feldenkrais Trainer in Heidelberg, Germany, has spent a significant portion of his 40-year career making sense of existing and emerging brain science, specifically for Feldenkrais practitioners. These include: evolutionary theory; cognitive science; philosophy; neurophysiology; and child development. Roger is a core member of our staff, and will share his teaching, presentations, lectures, and reading suggestions throughout the training. He’ll be present during every segment, either online or in person. 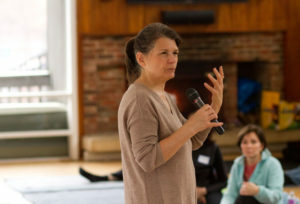 Building a business that sustains your practice as a Feldenkrais practitioner requires skills beyond those of teaching and understanding the Method. Client attraction and enrollment skills are critical to creating a practice that fulfills you in every way. Becoming a self-employed practitioner is one of the skills you will take with you at the end of the training. Your guide in this arena is Allison Rapp, who has been a Feldenkrais Trainer since 1991 and a business coach since 2010. She supports Feldenkrais and other hands-on practitioners in becoming transformational leaders. Market your business in a way that feels like you. Have a client enrollment conversation. Give a talk about your work. Format a workshop so that participants are inspired to continue working with you. Tackle issues around money, time, and energy. Learn how to become known in your local area in a variety of ways. Claim your innate strengths and learn to use them to make building your business easier. Identify your potential pitfalls so that you can easily avoid them. Ask for and get great testimonials that will inspire others to work with you. Coach clients to refer people they know who need your help… and make sure the referral lands. Your skills will deepen over time; thus, Allison will work with you throughout your training. You’ll have lifetime access to the training materials and to twice-monthly group calls with her as you continue to build your business and develop it according to your own dream. You’ll have access to more than $6,000 of reliable, proven business training, at no additional cost to you. 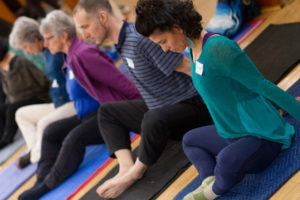 The personal maturation that takes place with the Feldenkrais Method can be described as the “dignity of choice.” By studying your habits, appreciating your past, and developing new capacities for internal strength and skill, you will discover the specific means for choosing your direction in life and appreciating the internal resources you bring to the process. You’ll learn how to author your own experiences in life, rather than living out of habits and acquired history. In 1980, Dr. Moshe Feldenkrais taught his final practitioner training in Amherst, MA, the recordings of which you’ll study in the FTA. This will help clarify your understanding of Dr. Feldenkrais’ approach to the work and allow you to experience his teaching firsthand. You will meet the genius of Dr. Moshe Feldenkrais, with his own faults and wisdom as a human being, as you learn from the founder of the Method. FTA is built on experiential learning. You will learn to use the sensory/motor aspects of movement for learning. You will acquire a model of refinement, not repetition, in which there is a balance between action and reflection. In addition, you’ll learn key concepts, strategies, and insights by engaging with demonstrations, discussions, presentations, homework assignments, and other resources. You will become a master of the process of learning. There will be an ongoing focus on competency and self-assessment. You’ll assess your progress in terms of your goals, reflect on your development, and document your intention to reach the next learning landmarks. Our goal is to help you become a self-regulating, reflective student as you learn the artistry of being a Feldenkrais practitioner. Read more about why competency is key. FTA is the first training to fully integrate the use of the FGNA’s Feldenkrais Practitioner Profile into the training process. 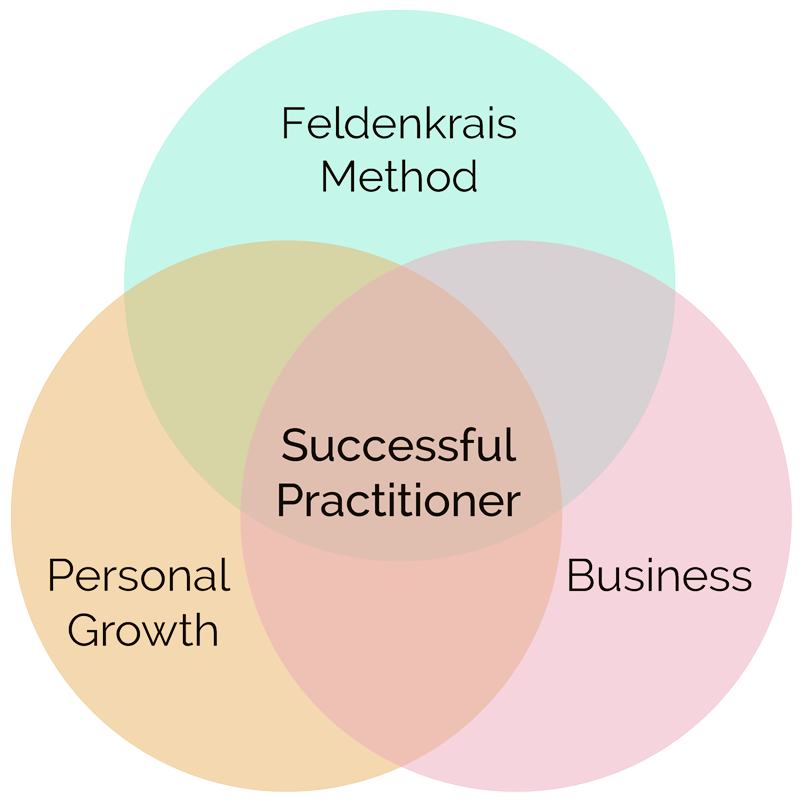 The profile, approved in 2016, lists the basic competences that a beginning Feldenkrais practitioner needs to be successful. As an indication of how important the profile is to the FTA curriculum, four of five of its authors are on our staff (Candy Conino, Alice Friedman, Dwight Pargee, and Jeff Haller). Your learning will be year-round. In addition to in-person segments, the training includes weekly assignments, monthly online classes, and online mentoring groups every other week. 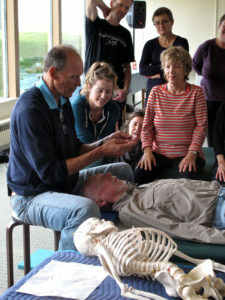 This curriculum was designed over several years by a group of dedicated Feldenkrais professionals. We are excited to share it with you! We hope you will join us and become part of the next generation of Feldenkrais practitioners who bring this work into the world.